April 12, Lakeland, Florida – Quest Aircraft announced today the appointment of Clay Lacy Aviation as an authorized dealer for the northeastern US. 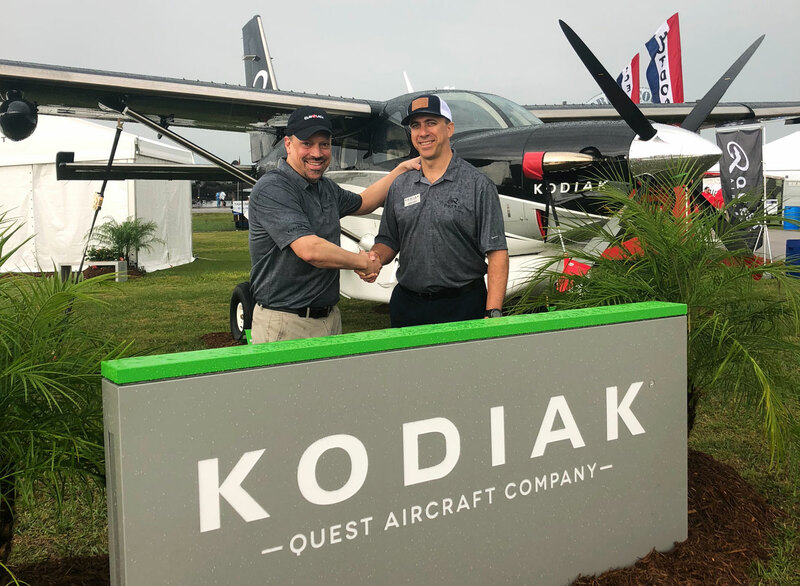 Based in Oxford, Connecticut, Clay Lacy Aviation will be the exclusive source of new Kodiak sales throughout New York, New Jersey, Connecticut, Maine, Massachusetts, New Hampshire, Rhode Island and Vermont. As an authorized dealer, Clay Lacy Aviation will also serve as an authorized service center for the Kodiak. The appointment builds upon a strong relationship in the Pacific Northwest where Clay Lacy has been a Quest authorized dealer and service center from Boeing Field in Seattle since 2015 serving Alaska, Washington, Oregon, California and Hawaii. For more information about a new Quest Kodiak in the Northeastern United States, contact Chris Hand, Vice President, Clay Lacy Aviation, 914.548.5191 or chand@claylacy.com. The Kodiak’s rugged aluminum construction combines superior STOL performance and high useful load. It offers proven turbine reliability with the Pratt & Whitney PT6 turbine engine, has the ability to land and take off from unimproved surfaces and is capable of working off floats without structural upgrades. The Kodiak can take off in under 1,000 feet at full gross takeoff weight of 7,255 lbs and climb at over 1,300 feet per minute. Three interior packages are available along with a wide range of factory-installed options. The Quest Aircraft Company is dedicated to providing access to more people and more places by building the most rugged, reliable, turbine STOL aircraft in the business. For the past decade, the 10-seat Kodiak 100 has proven its versatility in a wide range of public, private, business and humanitarian applications. Additionally, Quest’s continuously growing dealer and global support network provides customer assurance that their missions will be accomplished. The Kodiak is proudly built in Sandpoint Idaho, with a fleet of over 230 aircraft certified in over 50 countries around the globe. For additional information on Quest and the Kodiak, please visit questaircraft.com.